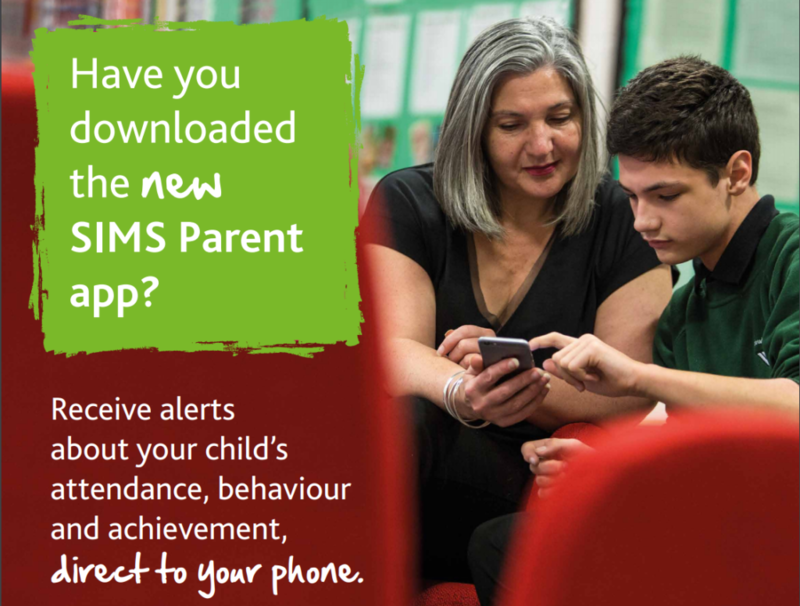 Did you know you can view your child’s attendance, achievement and conduct information in real time? 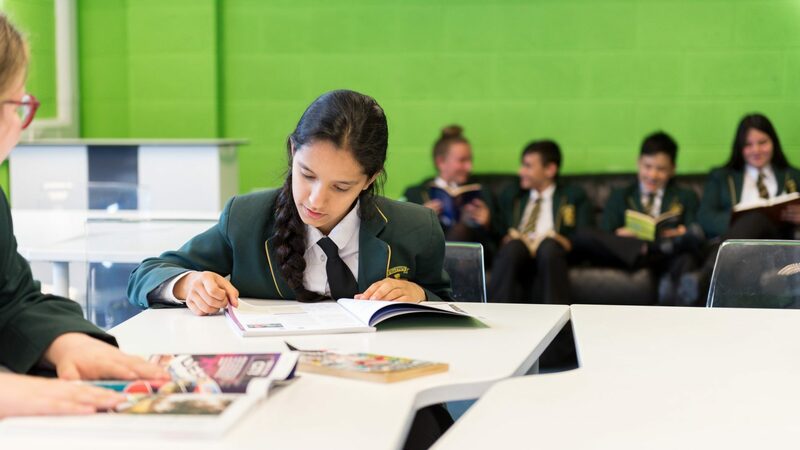 School reports are also published via the app, and will be available to download immediately after you are notified they are available. You can also update your contact information that we hold for you, so we can always have correct details in case of emergency. 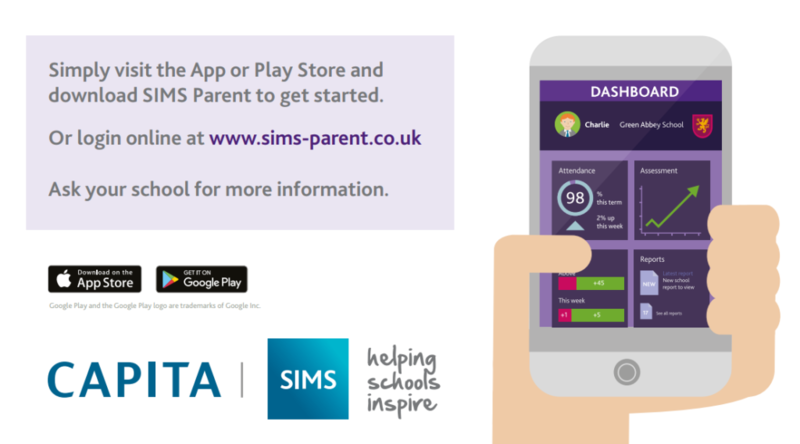 Search for ‘SIMS Parent’ in the google play or Apple App store or go to www.sims-parent.co.uk. You will be asked to log in using an account – this can be a Facebook, Twitter, Google, or Microsoft account. Details of whichever account you use will not be stored by the school.